This year’s AGM began with a video which suggested that, without Rio Tinto, modern civilization would collapse. If this is the case, I really think we need a serious discussion about modern civilization. Among other things, the video sang the praises of the driverless trucks operating at the company’s iron ore mines at Pilbara in Australia. These trucks, of course, not only help shift large quantities of iron ore: they also destroy jobs. “We are pioneering progress,” the video assured us, but it didn’t tell us what kind of progress it was pioneering, or towards what. If we carry on the way we’re currently going, we’re surely heading for an ecological apocalypse. We need to find different ways of fulfilling our needs and organizing our societies. But that’s just my opinion – I didn’t get the impression that Rio Tinto shares that view. We had hoped to have with us visitors from Madagascar to speak about the impacts of Rio Tinto’s biodiversity offsetting programme. The UK Government decided that it did not want them to come, and refused their visas. There were reports about this in the Guardian and the Times. Some of the other concerns about Rio Tinto’s operations in Madagascar were covered in the Ecologist. If you would like to watch the whole AGM, you can find the company’s webcast at http://edge.media-server.com/m/p/h87awek8 (you have to register for this). The report below includes only the points that people in our network made, along with certain other points that struck me and my entirely subjective commentary on them. 1. Rio Tinto’s Chairman Jan du Plessis opened the meeting on an upbeat note by announcing his retirement. He said that a process would be in place by the end of the year to appoint his successor and he would stand down any time after that, but no later than the end of the company’s Australian AGM in 2018. 2. He then spoke about the company’s first climate change report, recently published in response to a resolution passed at the AGM in 2016. The company wants to work in an energy-efficient and socially responsible way, he said. 3. He mentioned ever so briefly the scandal that erupted last year over the company’s involvement at the Simandou iron ore mine in Guinea. He said that on 9 October 2016 the company had announced (following an internal investigation) that it had notified the relevant authorities in the US, UK and Australia about payments made to a consultant in Simandou. An impairment in the company’s accounts from 2012 was being investigated. The outcome of the investigation is uncertain, said the Chairman, so there was little he could say about it, but the board was giving this matter full attention and fully co-operating with the relevant authorities. Yes, well, it seems that something particularly dodgy MAY have happened… Of course, the matter was raised in the question time – see below. 4. Jan du Plessis finished his speech by saying that Rio Tinto is confident of its future. As he spoke, a picture was displayed of horrible ugly steel skyscrapers somewhere. The opening video had also shown us plenty of pictures of vast modern cities full of such edifices. I think we were expected to gasp in awe and amazement at these images, but I am afraid I didn’t. I share the architectural tastes of the current Prince of Wales and find the ever loftier phallic structures being erected around the planet – including in central London – frankly repugnant. (I stress that my views on architecture do not represent an agreed consensus in London Mining Network but are entirely my own opinions.) Anyway, if that’s the future of which the company is confident, it does not fill me with delight. 5. Company Chief Executive Jean-Sebastien Jacques (who apparently prefers to be called J-S Jacques, so we’ll do that) spoke for some while and about a number of issues. If you want to hear the whole lot, do listen to the webcast. I am afraid that J-S, unlike his predecessor Sam Walsh, will be of no help if you need a cure for insomnia or want someone to read bedtime stories to over-active children whom you hope to lull gently into the land of nod. Sam used to speak in such a resolute monotone that the struggle to remain awake was quite a challenge, but J-S managed to keep me wide awake the whole time. 6. Among other things, he told us that driverless trucks operate at a saving of 15% over worker-driven trucks. There are 76 of these trucks in Pilbara region. I am not clear how many lost jobs this represents. 7. He told us that Rio Tinto had given its holding in Bougainville Copper Ltd to an independent trust and its Bunder diamond project to ‘a state government in India’. There would be questions about both of these later on. 8. He said that the company was trying to improve its gender mix and representativity of the 35 countries where it works. He said that 46% of its graduate intake were women. Diversity and inclusion matter. Jolly good, as far as that goes – but not much good unless they also respect the diversity and the wishes of the communities affected by their operations, many of whom clearly do not feel respected. 9. Jan du Plessis then made a rather confusing remark about political donations. It was confusing enough that a shareholder asked about it afterwards. Introducing one of the resolutions on which shareholders were to vote, he said that the board wanted authority to make political donations not because it plans to make political donations but because the UK law definition of political donations is broad and the company needs to avoid falling foul of it on a technicality. Hmmm: sounds as though it might be happy for some of the industry associations of which it is a member to make party political donations so that particular political aims can be pursued at arm’s length and that the UK government thinks that’s much the same as doing it themselves – but I am willing to be corrected. 10. Remuneration Committee chairman John Varley then spoke for several geological epochs (or perhaps it just felt that way) about ‘executive remuneration’, which is a posh way of saying bosses’ pay. The longer directors speak at AGMs about bosses’ pay, the more certain you can be that it is utterly outrageous, both in itself and in comparison to what other workers in the same company get. Why should bosses get paid so much more than the workers who produce the wealth or the workers who keep their offices clean? Well, our friends at ShareAction are good at raising such matters, but they were not able to be at this AGM for pressure of other work. John Varley spoke a lot about ‘STIP payments’ – that stands for Short Term Incentive Payments. (We don’t have those in LMN – we just do our work because we believe in it.) Anyway, the company had reached an agreement with former CEO Sam Walsh to ‘defer certain STIP payments for two years’ because of the Simandou investigation. I shall not speculate on the implications of that. 11. A Mr Pert was the first shareholder to speak from the floor. He was a pensioner and relied on income from his share dividends. He wanted the company to raise its dividends. Jan du Plessis replied that shareholders were split 50/50 over whether the company should raise dividends or engage in share buybacks. He would take Mr Pert’s remarks into consideration. 13. Jan du Plessis replied that Rio Tinto had committed to “do what is right regarding environmental management.” He said he wished to restate that the company knows the need for ERA meet all its environmental obligations. 15. Andy Whitmore replied that it was important that the negotiations be transparent. 16. Shareholder David Quint: asked about double taxation relief and whether the company planned to get involved in seabed mining, as he had seen a documentary about an undersea mountain containing rare earth minerals. Jan du Plessis had seen thes ame documentary and was intrigued. It was very exciting but Rio Tinto was not working on it at this point. Finance Director Chris Lynch said that the company received relief from double taxation but not without challenge at some times. 17. Shareholder John Farmer asked about executive pay. “Why does Rio Tinto pay so much for so little?” he asked. Recent success had been attributed to commodity price increases and cost cutting. Last year Rio Tinto had announced changes to its dividend. John Varley had been investigated by the Serious Fraud Office for questionable activities at Barclays. “When will there be greater attention to shareholder return rather than remuneration of a board which is parasitical on this organisation given that shareholder returns are meagre and fluctuating?” he asked. 18. Jan du Plessis said that the fact that the board knew that mining is a cyclical business did not mean that they know how to read the cycles and predict what the company will be earning in three or four years’ time. The more flexible dividend policy that had been adopted last year to award shareholders according to the cycle was better than what had gone before, he said. 19. John Varley said that as a result of changes in regulations, especially in the UK, there had been a democratisation of the process of determining remuneration policy – it was now subject to votes by shareholders. That was good. The structure of pay was clearly delineated in the company’s policy, and shareholders have the opportunity to vote on it. The discretions reserved to the remuneration committee have been reduced. There is not a consensus among shareholders about remuneration policy, so the committee had to take varying views into account and make a judgement. 20. John Farmer was not impressed. He said that share repurchases are of little value to ordinary shareholders and that the company seemed to be submitting to institutional investor pressure. 21. Shareholder Ian Prout asked what effect climate change was having on the companies coal mining operations, and why the company runs a lot of its own logistics. 22. Jan du Plessis repeated the industry mantra that coal will continue to be ‘an important part of the global energy mix over long run’ [in which case we’re all going to be fried]. However, the company continues to sell its coal assets in Australia to Yancoal. This should complete in the second half of the year and then Rio Tinto will have no thermal coal assets left ,just coking coal. 23. J-S Jacques said that Rio Tinto was one of the largest users of shipping companies but had very few ships of their own, most being chartered. The 1700 kilometres of rail and the ports that it runs are a strategic and competitive advantage which the company wants to keep. 25. Jan du Plessis replied that this was by far the most complementary observation he had heard in his eight years of chairing the company. He said he very much appreciated it. A lot of work had been put in. He thanked Simon for having the courage to come to the meeting and acknowledge this. He thanked the company’s executives and trade union members for working so hard to improve relationships. Unions and management would not always agree but by talking to one another they could find solutions for company and people. 27. Jan du Plessis said that he had personally observed the environmental issues at Grasberg. He understood the controversy around riverine tailings management, but the mine is 4000 metres above sea level, there is high rainfall and seismic activity, and had the decision not been made to use riverine tailings management, the mine would never have been developed. He asked, “Should the mine be there?” and answered, “The way in which it is being managed is exceptional,” (which did not strike me as an answer). He said it was hard to believe, when looking at rehabilitated areas of the river banks, that they had once been a mine waste site. 30. Andrew agreed that the mine provided employment but said that this had been used as a tool to hit the Indonesian government with in the renegotiation process by laying off workers. People needed to understand the bigger context in Indonesia and West Papua. He said, “You know the experience of Bougainville, where thousands of people died because of the role of a mine in the conflict. West Papua has a latent and an apparent conflict going on, and this will not be resolved while Grasberg continues.” He urged the company to think about these issues while considering the future of its involvement at Grasberg. 32. “The inhabitants of a village named Antsotso, close to Fort-Dauphin in Madagascar, are affected by the Rio Tinto company biodiversity offsetting. A report published by international NGOs last year has already raised that the community, that was already living in a precarious situation, could not cultivate any longer at the traditional place and had to move far from the village, near the seaside, where the soil is not fertile as very sandy. So their crop decreased a lot. 33. “In addition, taking some wood in the forest becomes forbidden, so that the villagers cannot build new canoes to fish on the sea when their canoes become older or unusable. 34. “In spite of my sharing of these issues with the shareholders here at the last year AGM, nothing has been done by the company to correct or improve the situation. 35. “That’s why a community representative wanted to come to London and attend the AGM with an interpreter in order to bear testimony by himself, in front of you, of all they are suffering and to directly express their demands. 36. “Unfortunately, they were refused the visa by the Embassy office for scandalous reasons mentioned in the British newspapers. 37. “A video is now available where several villagers explain the negative consequences of this biodiversity offsetting on their life. 39. “Will the company go on ignoring the negative impacts of its biodiversity offsetting on the basic human rights to food of the Antsotso villagers? 40. “If not, when will the company take the decision and effectively act to meet with the community to listen to their demands of alternative projects for agriculture and fishing to counterbalance what they lost? 43. J-S Jacques began, “Bonjour! We tried to meet this morning but it did not work. We will try to make it in May.” He said that he had not yet had the opportunity to go to Madagascar and he intended to go there very soon, as he had done last year with ERA. 44. Regarding biodiversity offsetting, he said that he should explain what this meant. “It means that we offset biodiversity loss with gains somewhere else.” He said it could be controversial in some quarters. The company had nineteen offsetting projects globally including in Madagascar. He said that 84% of these were required by governments in relation to permitting. A couple were required by lenders, for instance in Mongolia. Offset projects were a last resort. The company looked first for avoidance, minimisation of impact, and restoration. 45. Sometimes offsets were imposed on the company, he said. In Madagascar, the company has an offset project. It was put in place before Rio Tinto got involved, as a government requirement. It is managed by an NGO called Asity. J-S Jacques said he knew that this question would come up at the AGM so he had asked a head office team to go on site. This team went two weeks ago and their report differed from what he had heard today, which is why he wanted to meet, to discuss and to go on site himself. He said that offsetting could have a positive impact. The IFC wanted Rio Tinto to put in offsetting in its project in Mongolia. Poaching wildlife is an important issue. The company is working with local herders in Mongolia to stop this. [He did not mention last year’s Re:Common/WRM report on offsetting, which showed that the poaching was being committed by people brought into the area by the mine.] There was a high voltage line coming from China to provide electricity and Rio Tinto was putting bird-scaring devices on the lines to stop them from getting hurt. The company is also removing all fences along the railway from Ulaan Baatar to Beijing so that wildlife can pass by, and this was helping now. He was keen to talk together with Mamy. 46. Shareholder Chris Purnell asked for further clarification on the thinking behind Resolution 19 on political donations. He was opposed to the company making political party donations. Why was it necessary to have a resolution in the light of its existing policy? 48. Yvonne Orengo, from the Andrew Lees Trust, said said that she wanted to talk about transparency. She welcomed the fact that the company had become a leader in tax transparency and thought that shareholders would want the company to be even more transparent about how the company conducts its business in countries where it operates, especially where there is weak governance, as in Madagascar, so that communities – like those mentioned earlier, for instance in relation to biodiversity offsetting – are not deleteriously affected by the company’s or its staff’s behaviours. 49. For example, she is aware from her experience of the Madagascar mine over many years that those who complain about what is happening, or particularly what is not happening around the mine in Madagascar, are harassed or intimidated. Yvonne had spent many hours with Rio Tinto executives in London discussing these matters over a period of many years. 50. She said she had two questions to raise and asked first why QMM had breached a legal buffer zone, in place under national law, to protect waterways that feed into the town and areas used by locals for drinking water and fishing, to create a man made, artificial extension of land into the buffer zone. These activities had been kept below the radar by the company but the evidence is there on Google Earth. of the mine. The company was rightly concerned about the health and safety of its employees, and that was welcome, but how conscious was the company of the threat to the health and safety of people in surrounding communities from mine tailings, especially given the slow progress on rehabilitation? The radioactivity question was pushed under the carpet twenty-two years ago. Yvonne was in the town at that time when local regional representatives were explaining how the company had assured people there were no concerns. However, the quantities of ilmenite being dredged, meant that the levels of radioactive NORM (e.g. Uranium and Thorium) from Zircon and Monazite by products are now very high and this should therefore be a concern. She asks the company to be more transparent on this subject and felt sure the shareholders would want that too, and not want to be earning dividends from the company if the price was placing local people’s health at risk. 52. J-S Jacques replied that the company had a broad range of monitoring devices. Water is constantly monitored and no pollution had been noticed. QMM also monitors radioactivity. He suggested that the best way forward was for him to meet with Yvonne and Mamy in May. He undertook to go on site so that he could see it with his own eyes. 53. Yvonne asked for an assurance that whatever is discussed in private meetings would be put into the public domain on what the company was doing about monitoring, including of findings on radioactivity. She said that the company’s biodiversity committee had resigned last year but that was still not in the public domain and shareholders probably did not know that had happened. So she asked for an assurance that this kind of information would be made much more public in future. It is hard to hold QMM to account when information is not forthcoming, and the lack of transparency represents a reputational risk to Rio Tinto. 54. Jan du Plessis said that Rio Tinto believes in transparency. Unless the company is sensitive to the communities in which it operates, it will not be able to operate. He said that there had been many examples over the years when people had raised issues with the company at AGMs and they had taken these matters up. Meetings like the AGM serve a purpose because they provide a forum for people to make these kind of points, and the company takes them seriously. 55. I asked about the company’s legacy in Bougainville. I said: “Concerning the June 2016 transfer of Rio Tinto’s shares in Bougainville Copper Ltd to the governments of Papua New Guinea and Bougainville, a note on page 167 of the 2016 Annual Report says, ‘The carrying value has previously been fully impaired and therefore the transfer resulted in no financial impact for the year ended 31 December 2016.’ I suppose this is equivalent to saying that the shares are worthless. Presumably the only way of extracting any value from the shares would involve re-opening the mine – but Bougainville Copper Ltd estimates that the costs of re-opening the Panguna mine would exceed US$5 billion, and this does not account for the expenses of concluding several essential ‘due diligence’ studies. It would take years to get the mine up and running again, and doing so would deepen dangerous divisions among the people of Bougainville. 57. 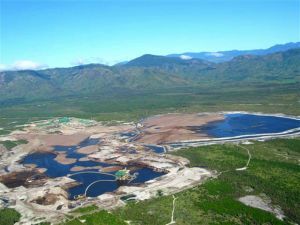 Jan du Plessis said that Rio Tinto had decided long ago that it would not be allowed to go back into Bougainville, and it had no desire to do so; but in the right hands and under the right conditions a mine could be developed. The fact that Rio Tinto believed that in its hands the asset has no value does not mean that it would have no value in other hands. Stakeholders including – now – local landowners could decide how they wanted to use the asset. 58. Jan du Plessis added that when Bougainville Copper left the site in 1989, because it was forced to leave, he knew it was compliant with all environmental and other obligations. The company now had no idea of the current situation of the site as it had not been allowed to go on site since. He was quite certain that there was no report about environmental damage, as the company had not been there for 30 years. 59. I said that I was asking about studies and reports that may have been done when the company was active at the mine. Jan du Plessis replied that by 1989 the company was fully compliant with its environmental and other obligations and that since then it had conducted no further studies. I should have mentioned – but failed to do so – that John Momis, President of the Bougainville Autonomous Government, has spoken of the inadequacy of the environmental regulations in place at the time that Rio Tinto was mining in Bougainville, and of the possibility of suing the company for its legacy of pollution. Why weren’t Bunder diamonds for ever? 60. Another shareholder asked about the Bunder diamond project in Madhya Pradesh in India. He said that Rio Tinto had discovered diamonds there in 2004 and all manner of studies had been done. The company had spent $300 million there and discovered 27 million carats of diamonds. Last year then then-CEO Sam Walsh had met Indian Prime Minister Modi about it. The shareholder was annoyed that the company had then given the concession back to the state government without asking shareholders. He said he needed a better answer than that the deposit was under a national park, because a British company [Sirius] is mining potash under a national park in Yorkshire in England, so that shows it can be done. 62. Rodney Barton of West Yorkshire Pension Fund said that he represented the Local Authority Pension Fund Forum. There had been a shareholder resolution the previous year on extra reporting about climate change risks. He welcomed the publication of the climate change report. He appreciated the company’s support for the Paris agreement and limiting the global average temperature rise to below two degrees. More information would be needed for investors to understand the full extent of risk to Rio Tinto from climate change. He valued the company’s commitment to cover more information in future reporting. He said he would like more detail on the potential impact on Rio Tinto with information on impacts on its finances. 66. Bruce Duguid from Hermes Investment Management said he needed more details of the company’s long term plan of seeking substantial decarbonisation of the business by 2050. he wanted a vision for the transformation of the company to low carbon operations and pathways to achieve it, how this connected to its business strategy including capital allocation and research in low carbon development. He wanted reduced carbon emissions to be included in executive Key Performance Indicators like health and safety already were, with information on how targets are set and the contribution of different business areas. 68. A man who described himself as ‘a grumpy individual shareholder’ complained that the dividend had gone down by 21% and he need advice on how to get his wife to spend 21% less [he did not mention whether he was spending 21% less himself]. He was annoyed at the scale of pay for executives and non-executive directors compared to the dividend for shareholders. 70. After this question, it was clear that Jan du Plessis wanted to close the meeting as quickly as possible – but there were still shareholders wanting to put questions, and there was a bit of a struggle – involving a certain amount of mild protest from the shareholders in question – before the final few shareholders were allowed to speak. 71. Natasha Posner, an Australian shareholder, asked about the [iron ore] trading hub being established in Singapore [currently at the centre of a dispute with the Australian Tax Office], and whether the company was shifting its operations centre there to reduce the tax it pays in Australia where it has extensive involvement. [Such a process is known as ‘transfer pricing’. The business tax rate in Singapore is lower at 30%. Both BHP Billiton and Rio Tinto are being investigated by the Australian Tax Office]. 72. Jan du Plessis said that ten years ago, the company had recognised that it needed to come closer to its customers, and most are in China, Japan and Korea. So Rio Tinto opened an office in Singapore to get closer to these customers so all their products could be better marketed and sold through Singapore. The company employs 350 people there now. The board will visit there to get a better understanding of it. But he emphasised that Rio Tinto was NOT moving its tax base from Australia. He said that the company is a hugely important tax payer in Australia. A few years ago it was the biggest tax payer in Australia. It pays a 50% tax rate in Australia. 73. Albert Beale, of Partizans, said that he had been a shareholder in Rio Tinto for over 30 years. He noted that in his introduction to the meeting the Chairman had passed very briefly over the matter of bribery and corruption, and that it only got a couple of lines in the annual report. More information was needed. It had been admitted, accepted and investigated – investigated by the Australian federal police, two US crime agencies and the Serious Fraud Office in the UK – and possibly by a fifth, which Albert could not remember. This was in relation to payments over which Rio Tinto had dispensed with some very senior people back in November 2016. Albert said that this was is a first for Rio Tinto/RTZ. The company had occcasionally kicked people out for not balancing the books but this was the first time it had kicked out such senior people for cooking the books. This seemed to relate to payments made five years before, so who was sleeping on the job for five years? 77. Vocal protest had to be raised before Richard Harkinson of London Mining Network was allowed to speak, so eager was Jan du Plessis to close the meeting. Richard pointed out that he had been asked to put a question on behalf of colleagues in Arizona who had attended last year’s AGM. Jan du Plessis said that they could have come and asked the question themselves, and that he had been expecting them. I pointed out that they had not had the money this time and had asked us to raise matters on their behalf. 78. Richard therefore said that on page 199 of the annual report, in the copper section, the presumed spending on Resolution Copper in Arizona is part of the ‘evaluation projects/other’ data. The problem, he said, is that the mine had been acquired by Rio Tinto against the wishes of the San Carlos Apache. On 19 December 2015 the public land in question had been privatised in a rider to a federal Defence Bill. The impact of the mine would be to destroy Apache Leap, which is where, in the 19th century, the San Carlos Apache had faced suicide rather than accept the loss of their ancestral lands. It is still ancestral land. 79. Moreover, the US Forest Service has noted that Rio Tinto has only identified half the mine’s water needs, and Arizona is plagued by drought and will continue to be so. The allocation of water from the Colorado River will be reduced in eighteen months’ time. Also Rio Tinto was asked last year whether it would indemnify the town of Queen Valley against loss because of the building of a tailings dam above the community. 80. In addition to the lack of water, because copper concentrating has a very high water-use demand, and the danger posed by the tailings dam, the company was proposing to use a mining method known as block caving. The Chairman had spoken of the difficulties of identifying risk. Block cave mining is controversial but the company was nonetheless ploughing ahead. The company first used block caving at the Palabora mine in South Africa, from which it walked away. It was being used at the Grasberg mine in West Papua and 48 worker deaths there in a major collapse were reported two years ago. The company negotiated with the World Bank’s IFC and the EBRD and plan to use block caving at Oyu Tolgoi in Mongolia. The technique does away with traditional methods of board and pillar mining and leads to the unpredictable collapse of ore bodies, losing access shafts. It fails to provide for back filling, using mining waste, into the underground mine spaces, reducing subsidence risks . These are hugely controversial projects. Why would Rio Tinto not say that it would not proceed with the Resolution project? Why not use an alternative to block caving at Oyu Tolgoi? 81. Jan du Plessis replied that the block caving was not controversial, that he had not heard of any criticisms of block caving. He said that he objected to Richard saying that Rio Tinto had ‘walked away’ from Palabora. Block caving had started fifty years ago at Palabora and it was hugely profitable until about three years ago when Rio Tinto decided that others could operate it instead. The company would continue with Resolution, which was a very attractive project, and would be so for many generations. 82. J-S Jacques added that the permitting process at Resolution was under way. Native American tribes were involved in the process. The US Forest Service was negotiating a Memorandum of Understanding with the San Carlos Apache tribe. He was not aware of any issues. The extent of the consultation is very significant and Rio Tinto would go through it in a very professional way. All issues Richard mentioned would be covered. “You should know we have from some of the tribes their water rights.” There had been conversations three weeks ago in the US with the Trump administration. 83. But that was the end of conversations in the AGM, and Jan du Plessis closed the meeting so that shareholders could get to lunch. 84. But that was the end of conversations in the AGM, and Jan du Plessis closed the meeting so that shareholders [and those suffering, put-upon directors] could get to lunch.